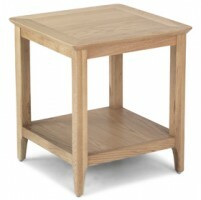 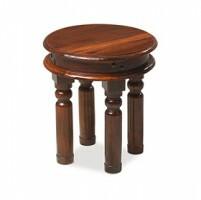 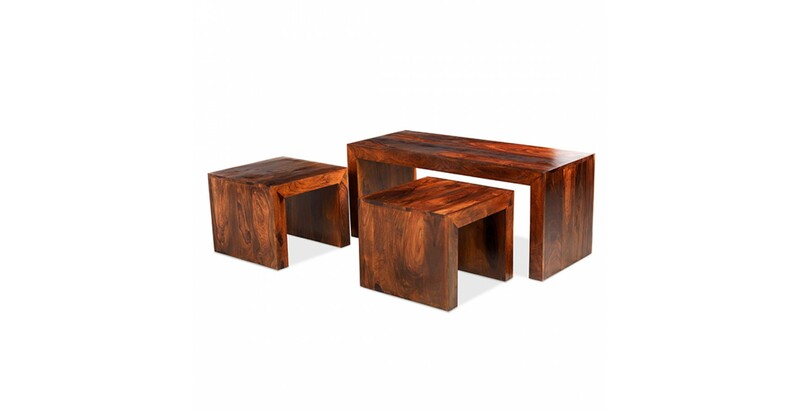 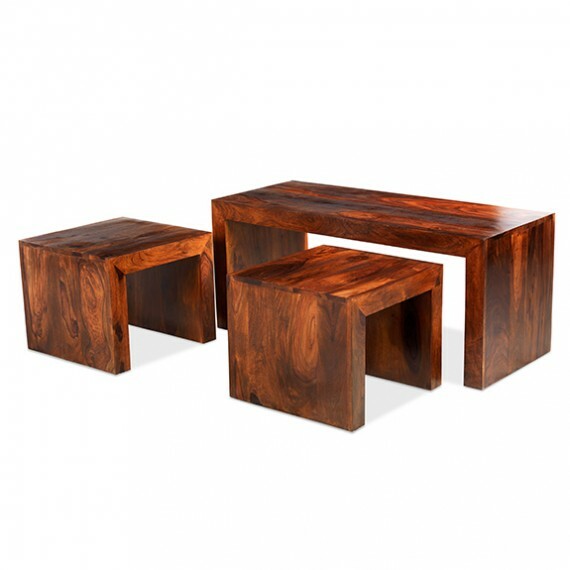 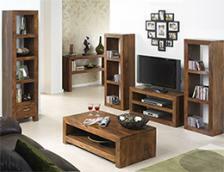 When nested together to save on floor space, the three pieces that make up this smart set are an impressive sight. 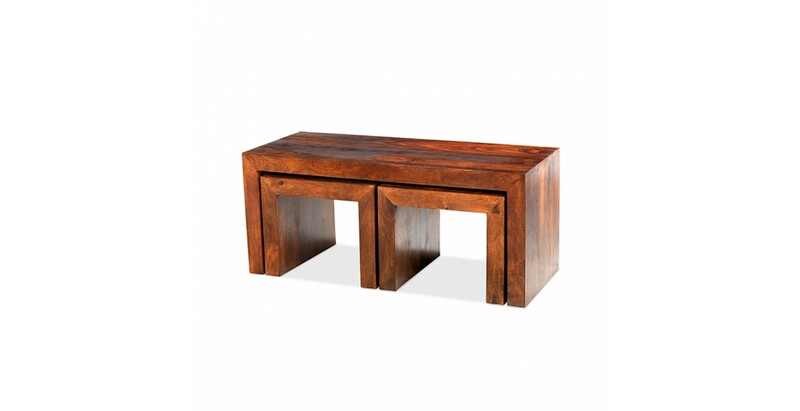 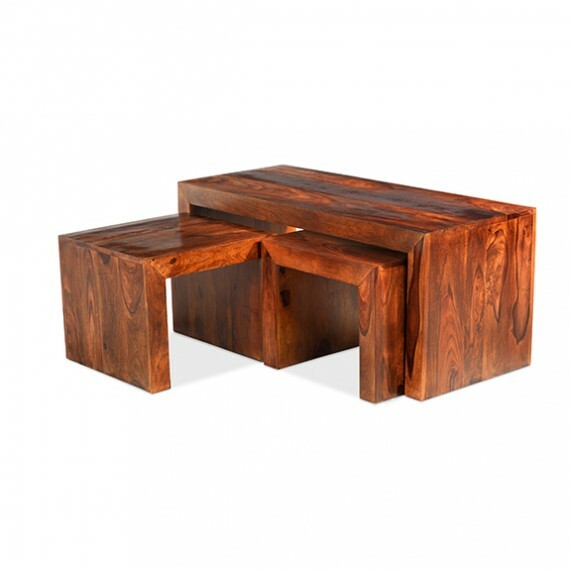 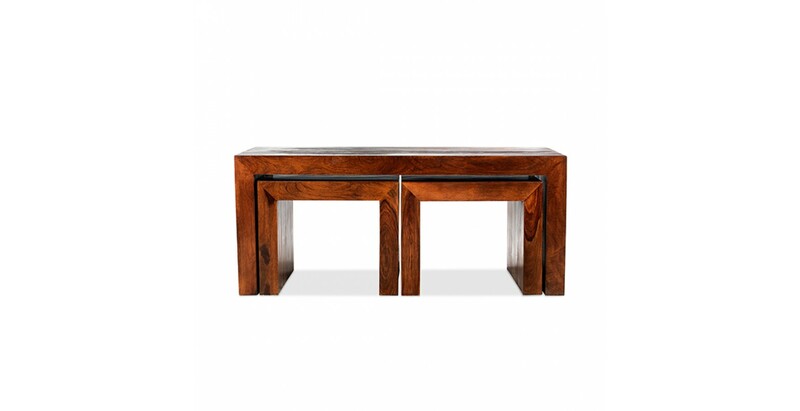 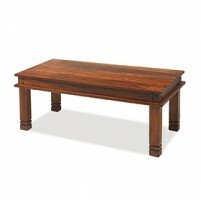 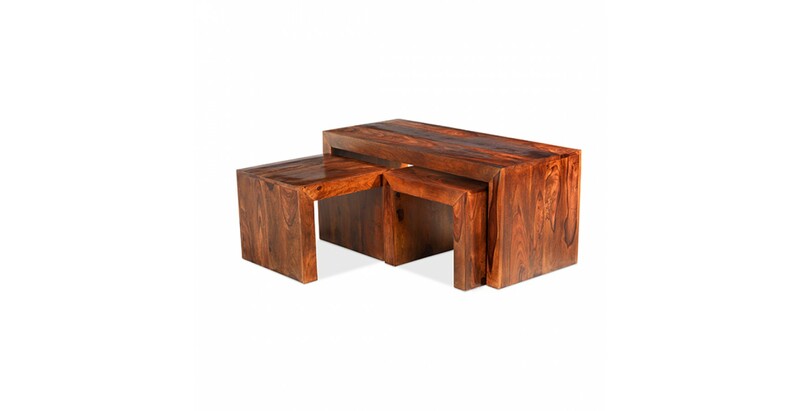 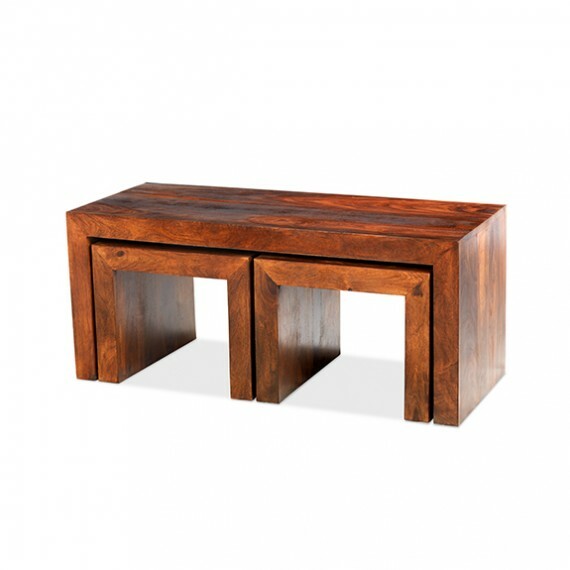 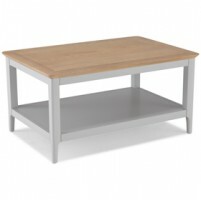 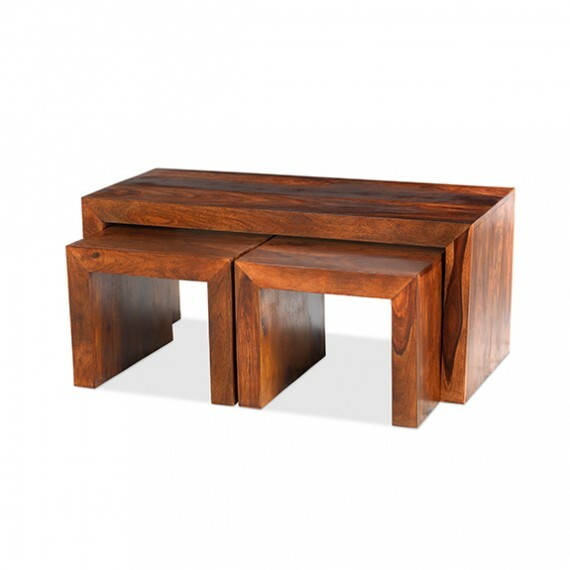 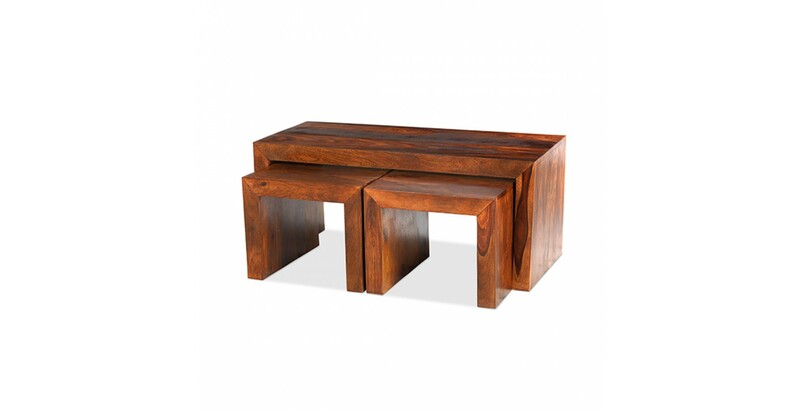 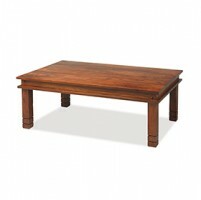 The largest piece makes a perfect coffee table, while the two smaller pieces are versatile tables that can be pressed into action in any number of situations. 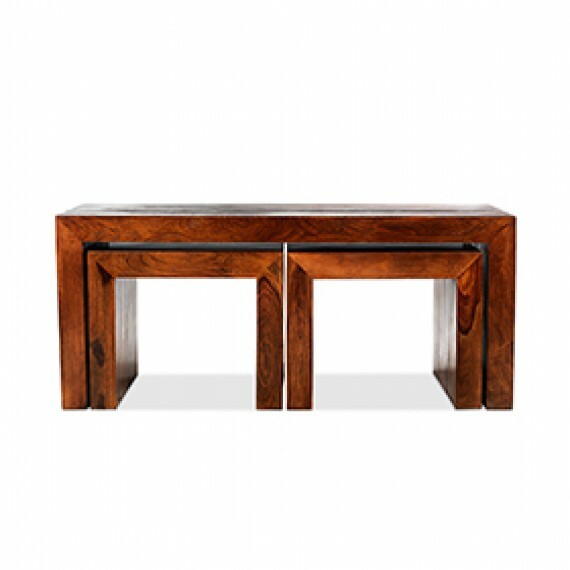 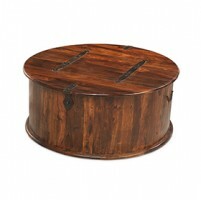 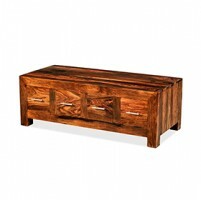 Crafted by hand from darkly exotic sheesham wood, each piece has a Wax Lacquer Finish to really bring out the distinctive grain and other natural markings that give them warmth and beauty.